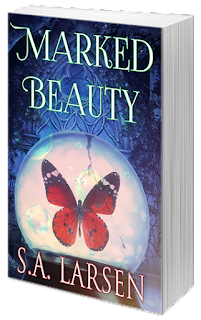 S.A. Larsen, Award-winning author of middle grade & young adult fiction: IWSG~NaNo & Win a Kindle Giveaway! IWSG~NaNo & Win a Kindle Giveaway! Win or lose, do you usually finish your NaNo project? Have any of them gone on to be published? I'd love to say I've championed at least one of the WriMo's - NaNo, JuNo, PbNo, etc... But, alas, I have not. I have, however, attempted it twice; the second time with a little success. I began my middle grade novel, Motley Education, during the first (and last) time I participated in JuNoWriMo. As you already know, the novel was released October 2016. For me, the real question is why can't I stay to task and write that much wordage on demand? Not sure, really. I think I'm the type of must-keep-busy person with lists and sticky notes posted everywhere. But, most of those consist of tasks that benefit others - my four kids, ailing parents and in-laws, & the hubster and our new dealership. Writing is solely for me. I've always had a hard time to justify me-time. Anyone else have this problem? The remainder of this post is a simple reminder and repost of the giveaway I currently have going on. Feel free to skip, reread, enter, or share! YES, please share! I'm hoping to get to 5,000 entries. I already have 3,500. Again, thank you from the bottom of my heart for your continued support, cheer, and goodwill throughout my publishing journey. I have lots of brand-spanking new insecurities popping up since my second book released, but I'll save those for next month. You are invited to Marked Beauty's Release Party Giveaway! Read on or following the bouncing links for more details & to enter! What better way to celebrate a book birthday then by a giveaway! There are many ways to enter, which you'll find below. You can win an iTunes, Amazon, or Starbucks gift card, an authentic Vera Bradley Little Crossbody in Cobalt Tile, an assortment of bookish swag, and even a KINDLE Fire HD 7"! The giveaway runs from release day, October 17, 2017 to December 12, 2017. Winners will be announced via social media December 15, 2017. Writers who enter can WIN a first five pages critique from yours truly! I can't wait to read one of your pages! Thank you for being part of #TeamBeauty and for helping me celebrate! For more or to participate! Wishing you a month with lots of 'me' time, Sheri. Take care. I can totally relate to why you never did NaNo. I'm the same. Even since my husband died, I'm too busy. And I'll be moving my mom here in the spring. It's like I'm never going to have much writing time. Maybe it's also that sense of something looming over my head or even behind me that stresses me out. So you're moving your mom near you. Does she live far away now? Good luck with all of that. I'm sure it will be exhausting, but worth it. Thanks so much, Julie! I know. It's strange, especially when I see so many authors succeed at the NaNo thing. You're on your way to five thousand! Focusing for a few weeks is the only way I get anything written. Me time? What is that? I've always got a list a mile long and even if I have time to write, I end up doing some promo work for my authors instead. I'd love to sit down and type for a month, but like you, there's no way it's going to happen. Type those words when you can! Sheri, I hear you, 100%--especially with a new one in the house. There has to be a balance, but at the same time, we can't neglect those other responsibilities. When I was my most productive, I had a two hour block completely sectioned off just for writing, and everyone in the house knew it. One day I'll get back to that, but I imagine the younger kids will have to be old enough to comprehend what "writing time" means first. =) We do what we can when we can, eh?